Inside: If your first potty training experiences left a LOT to be desired, try this relaxed, gradual approach to potty training, instead. Potty training slowly worked like a charm for my third child! Besides sleep training, I don’t know another two words that have quite the same effect on parents. Both stay at home and working parents alike eagerly scour the internet for the fastest, guaranteed method. 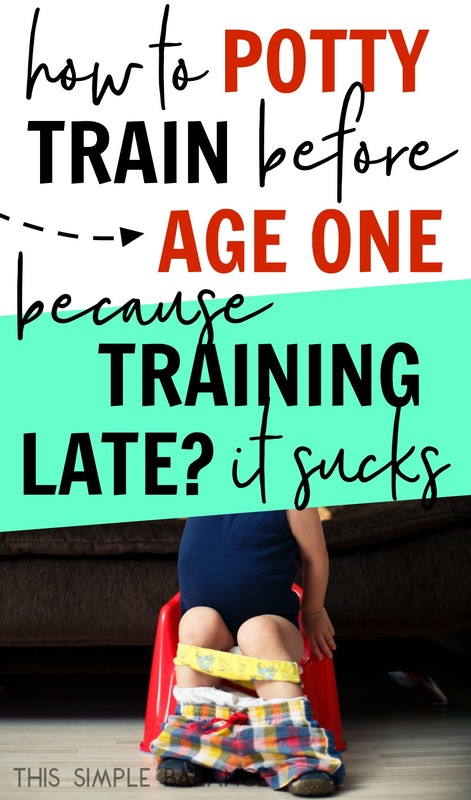 With pressure to train kids in time for preschool, we trade training secrets and argue the merits of using pull-ups or not, one day or three days, drinks or no drinks, rewards or no rewards. Some parents luck out. They have an eager to please, compliant child who happens to be ready at the time the parent initiates training. If you have ever attempted to train a strong-willed child around the age of two, you know that potty training can be a painful, traumatic process for all involved. Are you having another baby and looking for a better way? 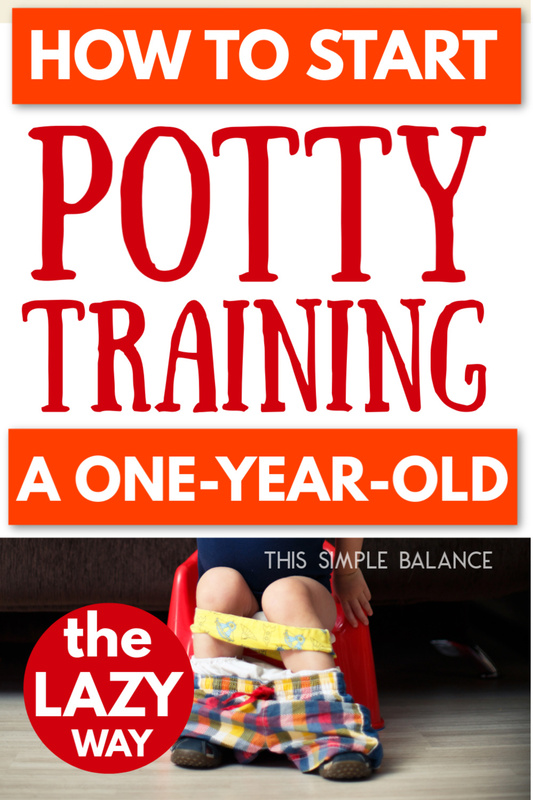 Do you want to make potty training less painful for everyone involved? With a paradigm shift, slightly more effort, and different timing, learning to use the potty can be as natural as learning to walk. You know all those suggestions of when NOT to potty train? With my first, I did it all. Before a long trip? Right after a move? After the birth of a baby? I tried them all and failed miserably. It is my own fault, really. And just when I thought she got the hang of it (the third time around with better timing), she got sick. Back to diapers she went. Stubborn met stubborn, and I actually won. She looked at my serious face, stopped crying, sat on the potty, and that was that. At 2.9 years old, on my fourth attempt, I finally succeeded. Phew! I was done…until my second (a boy) was up for training. For most moms, training a boy produces some level of anxiety. So I was pleasantly surprised when the first two hours of potty training were a smashing success. He tired of sitting on the potty every fifteen minutes. The accidents happened faster and faster (who knew a kid could pee so much?!). By the end of the day, I was frustrated and exhausted, and it was only day one. In my mind, he was overdue for training at two and a half, so I soldiered on. The bribes quickly increased. Two pieces of candy. Five. Ten! Ten minutes of watching Toy Story. No – 20 minutes. Heck! Watch the whole movie for all I care….so long as all pee goes in the potty! Because of all the failed attempts with my first, I feared backing down. I didn’t want him to think I wasn’t serious. So I continued…for a month. At three accidents a day, I don’t know why I persisted, but by the time I was a month in, it was too late to go back. I hated the next six months. Finally, I changed my strategy from giving orders to sit on the potty to offering choices (Do you want me to pull down your pants or do you want to do it? 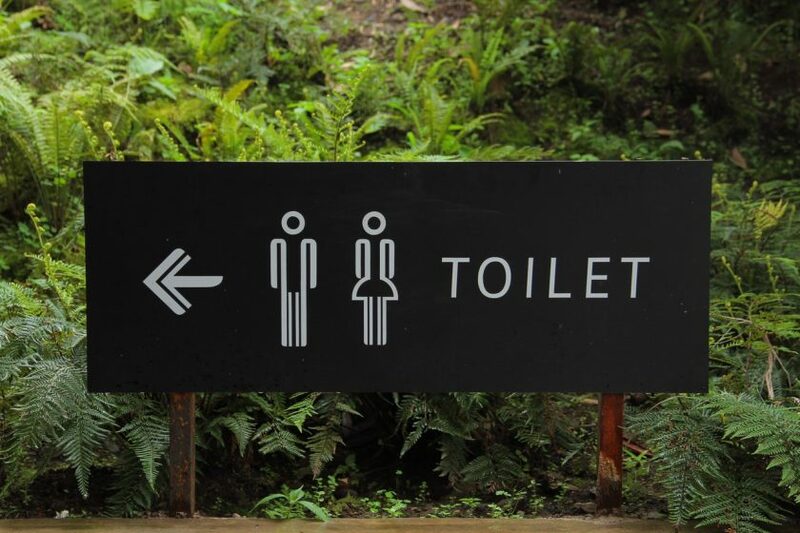 Do you want to sit on the big potty or the little potty?). That very day, the accidents stopped, and he was trained. At age 3. By this time, I gave up on mainstream potty-training methods. I was determined to find a better way. My aunt on my husband’s side has seven children. Apparently (not sure how much of this is legend), she trained all seven by age one. The idea stayed in the back of my mind, so when a magazine recommended the book Diaper-Free Before Three: The Healthier Way to Toilet Train and Get Your Child Out of Diapers Sooner (hereafter referred to as “the book”), I put it on hold at the library, curious. I devoured the book. 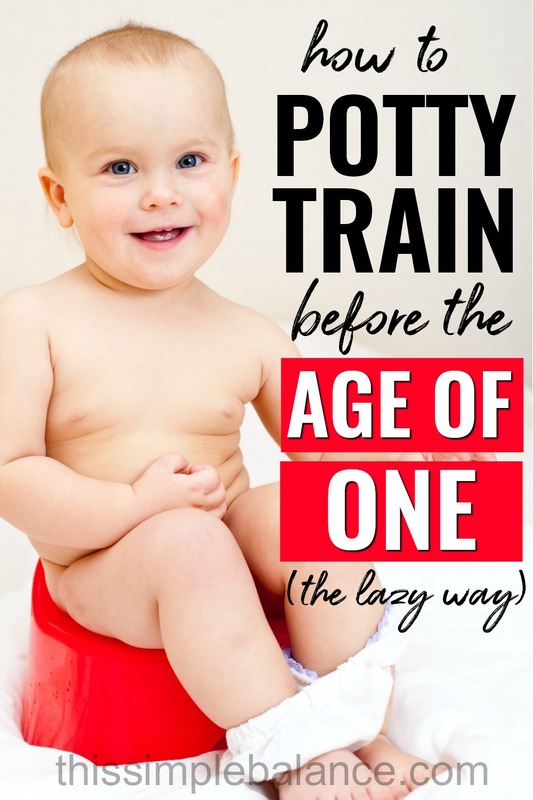 By the time I finished, I learned the fascinating history of potty training in America (which explains the dramatic shift in age of training), and the author sold me on the merits of early potty training. Is this like Elimination Communication? I know what you’re thinking, “I’m not one of those ‘E.C.’ parents, holding my child over the sink at one month old!” Trust me, neither am I. The best thing about this method is its adaptability. To put your mind at ease, one parent on an online forum put it this way (paraphrased): You can be as “lazy a** as you want to be, and still have your kid trained around the age of 2! I took that comment to heart and modified the book’s recommendations, which I initially tried but quickly abandoned. With multiple little kids at home, they were too much work for me. I loosely followed the book’s recommendations, implementing a slow potty training approach, which I describe below. Sure enough, just after his second birthday with very little effort on my part, my third son decided he was done with diapers. He insisted on underwear. After a week of a few accidents, he finished training. Even when my fourth son was born a week later, he did not regress. And while he is still in diapers at night, he has far more dry diapers than his older brother. What to make potty training less painful? With a slow potty training approach, it can be a better experience for everyone involved. 1) Move all diaper changes to the bathroom around 7 months old. The reasoning behind this is that changing diapers in the bathroom develops an early association between the diaper and the toilet. Depending on the consistency of any poop, I occasionally (borderline rarely) dump it into the toilet, saying “Poop goes in the potty.” We wave goodbye to the poop after I flush and move on with our day. Again, this is the lazy method, so you don’t need to do this frequently. 2) Put your baby on the potty once or twice daily, as soon as he can sit up without effort. According to the book (and common sense), most people need to use the bathroom when they first wake up. Even when kids wet the bed, a certain degree of consciousness is necessary to pee. One of the best times to make the connection between pee and the potty is first thing upon waking in the morning. Therefore, as soon as your baby wakes up (almost immediately), put her on the potty. If you wait, she will most likely pee in her diaper. If you like your sleep and/or peace and quite in the mornings and tend to let your baby play quietly in her crib until fussy, I totally understand. A second option is to observe your baby’s poop schedule, especially when he begins pooping once a day at the same time each day. Put him on the potty when you see him start to poop. If he resists, make one more attempt. Then stop and try again the next day. You don’t want to develop a negative association with the potty. Finally, move a couple toys or books to the bathroom for distraction. Make these special potty toys that are only used in the bathroom. Every time pee or poop goes in the potty, I clap ecstatically and smile widely. Well, had I written this when I first started, I would have added a “number four”. The book recommends moving babies to underwear a couple hours a day after their first birthday. I got a little eager and followed the instructions. That lasted a day. I quickly remembered how much I hated cleaning up pee. Back to diapers we went. Our third son started telling me when he needed to go poop around the age of one, and since that time, pooped on the potty daily. I changed maybe two poop diapers between age one and two years. You read that right: I changed two poop diapers in one year. He insisted on underwear a month after he turned two. There was a week of a couple accidents every day. This underwear saved my sanity! I bought four packs of three each. After a week, he had trained himself, and we were done*. No bribes. No treats. No battles. Every child is different, and the circumstances you face while potty training each child will be different. As your family grows, birth order, personality, eating habits, and life transitions will all play a role in the individual child’s potty training experience. My third child started eating at an earlier age and far more regularly than my fourth; therefore, just before age one, he started pooping once a day, at the same time each day. Since the timing was like clockwork, putting him on the potty was easy. It made sense. He quickly learned how to poop on the potty. Pee, however, seemed a mystery to him and to me until his second birthday, when all of the sudden, he got the hang of it. My fourth child, on the other hand, even at thirteen months old eats food selectively and randomly. Poop diapers happen two or three times a day. Sometimes I catch him in the act; sometimes I don’t. I do, however, put him on the potty first thing almost every morning. And every morning, without fail, he pees on the potty. Earlier on, maybe around seven months of age, when we were still using the Baby Bjorn infant potty chair, my fourth pooped semi-regularly. Unfortunately, the chair didn’t fit in our pod or the van when we moved, and we have not purchased another one since. We switched to this Prince Lionheart potty seat that sits on a regular toilet simply because both the baby and my three year old can use it, and it takes up less floor space (I highly recommend it! It seems to be more comfortable than others I’ve used. Do NOT get the Bjorn toilet trainer. It was terrible – made a mess with every use). While I appreciate not dealing with the mess of the potty chair, I have a hunch pooping would be easier for him if we got another one. Fitting in our tiny bathroom will be a challenge though. Will our fourth child (a boy) train himself like the last? I’m not sure. I will update this post with the results when I have them. But the ease with which the third was potty trained is worth the little extra effort it took. I am far less apprehensive about potty training as well. It is just as natural and gradual as other infant milestones, such as learning to walk or to talk. I am convinced that gradual potty training is the healthier way to potty train, as Diaper-Free Before 3 suggests. Introducing babies to the concept of the toilet at a much earlier age than Western wisdom suggests just makes sense to me. On the contrary, waking my two year old up one day and saying “It’s time to start doing something you’ve never done before…ever, and to STOP doing something you habitually have done very day since birth! Ready? !” seems, in retrospect, just plain stupid. And the doctor who wrote those “Signs of Potty Training Readiness” pediatricians give us moms? He was at one time a “paid spokesperson for Pampers diapers“ (learned previously in Diaper-Free Before 3). *This is our personal experience with this method. While I expect you will have similar results, I am not an expert or medical professional, and results are not guaranteed. 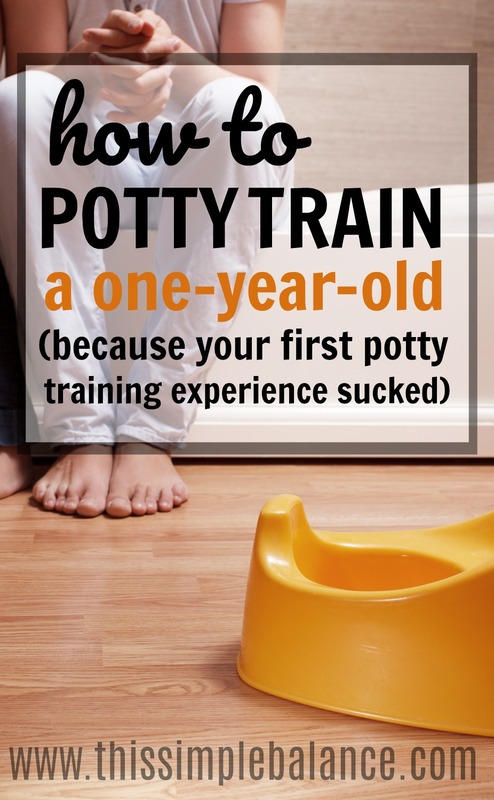 Were you satisfied with your potty-training method? Did you use different methods with successive children? ok — mom confession – my kids are 15 months apart and unbeknownst to me I’m using the above method on my nearly 2 year old and she loves to sit on the potty and can even tell me when she needs to poop (but has yet to have success on the potty). Here’s where I need help though – my 3 year old is potty trained… when she can run around the house without clothes on that is. Anytime I put undies on her, even around the house, she pees in them. Any suggestions would be appreciated!!! Hi Melissa! My best friend was just over at my house today, and turns out, she has a potential solution! Her 3 year old was the same way, but one day she put on just pants (legging type), no undies, and she had a completely dry day. She continued this (ditched the undies), and she’s only had one accident in 4 days. When she puts undies on her, she pees in them almost instantly. I don’t know, I’d try it if I were you. Hope this helps!